Germ Guardian, with a background in UV air sterilizers, has introduced their first entries in the true-HEPA air purifier market, the 3-in-1 AC4000 and AC5000 series. This review will focus on AC4825 and AC5000, inexpensive tower-style air cleaners from Germ Guardian. The new Germ Guardians were picked up by big box retail: Walmart, Target, Best Buy, and Bed Bath all featured the line when first introduced. Here is a good illustration of a common big box air cleaner problem. Try finding replacement filters for the Germ Guardians at any of the boxies now that the initial sales burst has subsided. I am recommending that a second set of filters accompany almost every air cleaner purchase (established premium brands excepted). A surprising number of user reviews mention buying extra filters with their AC4825s, congrats to smarter buyers. AC4000 series are 22 inches tall. AC4850PT has a "Pet Pure" filter, raising price to $140.00, sold through Guardian Technologies. AC5000 series are 28 inches tall, with a bigger filter and more powerful ultraviolet (UV) lamp. AC5000 goes for $112, and AC5250PT pet, with more sophisticated digital controls, fetches $127. The tower-style air cleaner space has become overcrowded, but I'd say the Hoover WH10600 TIO2, $166, is a close competitor for the Guardians. AC4825 has risen as high as number three in amazon's air purifiers sales ranks, while AC5000 has seen ranks in the low fifties. Germ Guardians were well down on Consumer Reports list of air purifiers, no surprise due to the low price. AllergyBuyersClub.com, a premium online allergy shop, gave a vote of confidence by picking up the AC5000. Their pro staff gave the AC5000 3.5 stars. AchooAllergy.com posted a balanced but fairly upbeat review of the AC5000 series. 4825 has 160 amazon.com user reviews averaging 4.3 stars. 5000 reviews are about half that number, reflecting the lower sales volume for the 28 inch models. Sylvane.com, BestBuy.com, WalMart.com, and Target.com also have numerous buyer reviews posted for the AC4825 and AC5000. With this much feedback, and many user reviewers reporting improved allergy symptoms, I guess it's time for me to investigate the GermGuardian air purifiers. I give extra weight to negative user reviews, since sunny reviews from paid shills are getting so common. AC4825 has 11% one and two star reviews, not a bad ratio, but high enough to warrant scrutiny of consumer's perceived weaknesses in the Germguardian 3 in 1. On AC4825 and AC5000, a single manual rotary switch sets fan speed to LOW, MED, or HIGH. A separate button lights the UV lamp which energizes the photocatalytic process. Guardian has not published airflow rates in cubic feet per minute (CFM) for AC4825/AC5000. There is no entry in the current AHAM Verifide Clean Air Delivery Rate (CADR) listing. Germguardian cites the AC4825s as having a "CADR rating of over 100." This is pretty weak, I warn buyers of less-than-150-CADR air cleaners to install in one square foot per dust CADR maximum room size. Many dissatisfied users are those who have set up these Germ Guardians in hugely inappropriate room sizes. The AC4825 manual claims it can clean 155 sq. ft., too large a space. Because the GermGuardians have extra power (photocatalytic oxidizer) I allow 1.2 feet/CADR. So I like AC4825 for a maximum of 125 square feet, a smallish room. Likewise the "125 CADR" 5000 series is advertised as suited for "rooms up to 193 square feet." Let's set a maximum for the AC5000 at 145 square feet. A number of reviewers remark that exhaust air from the AC4825 and AC5000 seems to be directed towards the left side. Both three-in-ones use a "combination filter" that incorporates 2 layers. However this is just a velcro-attached charcoal pre-filter attached to the front of the HEPA filter. The pre-filter is removable, so you could wash it, but the User Manual recommends simply vacuuming off the front surface with a soft vacuum brush once a month. Some users report fragility of the charcoal filter, suggesting the stress of washes may do more harm than good. The carbon weight of this charcoal prefilter can only be a few ounces, with a few more in the Pet Pure Filter. So the numerous reviewers who mention effective odor removal must be using the UV/photocat effectively. AC4825 and AC500 use different sizes of true-HEPA filters, literature cites the HEPA specification (99.97% of particles 0.3 microns in size). This is important, this is a TRUE HEPA filter, not real common in the $100 price class. But, along with a good filter, you need a completely sealed system, to force all the dirty air through the filter, allowing none to escape through cracks. There are very few tightly sealed air cleaners in the $100 class, it is a matter of relative tightness and bypassing. Manufacturers know that a certain percentage of buyers will forget to change the filter, allowing restriction which eventually overheats the motor. So builders of cheaper air purifiers leave a little space around the filter to ensure airflow with a clogged filter. Their main objective is to reduce costs. Bypassing by design allows lower cost components to be used and lowers warranty payouts. But they can advertise to the effect that their true HEPA filter captures 99.97% of .3 micron airborne particles that pass through the filter. Several user reviews note fine dust seeping alongside the HEPA filter and accumulating on the interior. This is bypassing, and will be prevalent especially where generic filters lacking lip seals are substituted for the Germ Guardian OEM originals. There is now a filter change indicator, a lights that blink when it’s time to replace the Filter or UV-C bulb. Germ Guardian's user manual generously states: "When the HEPA Filter turns from white to grey or black it should be replaced with a new one. If the HEPA Filter is still white, it does NOT need to be replaced." Most manufacturers would try to sell filters with a time limit, some even requiring frequent verified filter purchases to maintain warranties. HEPA filters only need replacing when restricted (clogged), dark color may be an indication of a sooty environment where frequent filter changes would be wise. FLT4825, True-HEPA Replacement Filter for AC4800 Series (Filter B), $27, is projected to last 6 to 8 months. The Pet version of the B filter size, FLT4850PT, offers anti-microbial treatment in the HEPA at $30. For the AC5000, Filter C, FLT5000/FLT5111, is $35. Users with multiple pets report filter life as short as four months. Filter replacement is very easy, requiring no tools. As noted above users report poor availability of the slower selling 5000 series filters, which arrive in port in cargo containers maybe every three weeks, causing delayed deliveries. This has led to aftermarket knockoffs, "Designed to fit GermGuardian" AC5000. These generics are almost always inferior, with edges made of cardboard instead of plastic, many are missing the seals at the top and bottom of the OEM filter. AC4825 and AC5000 have a toggle switch that prevents running the air cleaner with the filter absent. Some buyers of knockoff filters say the cardboard edged filters are too weak to depress this safety switch. Since few retailers carry these filters, and big box retail drops filters as soon as the model's sales fall, I suggest buyers order an extra filter with the initial purchase. Many air cleaner shoppers, remembering the Consumer Reports (CR) "Ionizer Ozone" scare, will avoid anything remotely associated with the word ionizer. The "ionizers" CR blasted were electrostatic precipitators which emitted ozone (NOT ionizers). Apparently this distinction was too subtle for CR, and for millions of consumers. So those buyers can rest assured, Germ Guardians are not ionizers. Unfortunately, those same naive consumers often rush to buy other technologies without the foggiest idea what they are buying. Vendors, aware of the ion paranoia, have taken to obscuring the true technologies being sold. Especially the photocatalytic models, like AC4825 and AC5000, which are difficult for most buyers to understand. Behind the HEPA filter, both AC4825 and AC5000 have Ultraviolet (UV) lamps. These bulbs are different, AC5000 uses a vertical mount 8 Watt UV lamp, while AC4825 has a top mount 5 Watt bulb. These emit radiation in the UV-C band, which damages microbial DNA enough to stall reproduction over time. Advertisements which hype UV-C as "killing" microbes, implying rapid enough sanitization to prevent the spread of airborne infectious disease, are misleading at best. Guardian's UV lamps are a bit weak, especially the 5 Watts in AC4825, to do much "killing." But we can't expect more wattage for $100. The AC4825 bulb is extracted with a simple pull, while AC500 has two Phillips screws which secure the lamp's metal shield. Germ Guardian AC4800 Series Replacement UV-C Bulb, "LB4000" fits AC4825 and AC4850PT. LB5000 UV Bulb, $26, fits the Germ Guardian AC5000 Air Purifier. UV bulbs need replacing "every 10-12 months," but their lives are determined by hours of use, not time. Some user reviews mention shorter UV lamp life, with some quality issues (early fade) being mentioned. Replacement UV bulbs are primarily sold directly from Guardian. One hazard of UV is eye damage, users must never look at the illuminated UV lamp. Germguardians have on/off switches for the UV, allowing extended bulb life if the UV is used only when odors are present. Behind the HEPA filter, the UV radiation ("light") strikes a Titanium Dioxide (TIO2) photocatalyst surface, causing electrons to jump to a more excited state. This creates hydroxyl and other radicals that oxidize (burn) things at the molecular size level. Reviewers at a couple vendors seem to think that the Titanium Dioxide is in the Charcoal Filter, I don't think so. The TIO2 must be exposed to UV, and therefore must be at the rear of the Germ Guardians. Users are very positive about AC4825 and AC5000's odor removal capabilities, mentioning fragrances, cooking, and pet smells. Even tobacco smokers say the GermGuardians are helpful, though smoking environments cannot be rendered "safe" by an air purifier. This odor removal is effected at a much lower price than the heavy weight carbon used in many premium air purifiers. PCO is also very effective at destroying airborne mold spores, which I think may account for the many user reviews attesting to allergy symptom relief. However, I don't recommend PCO for the chemically sensitive, as there are still unanswered questions about partially oxidized byproducts created under heavy loading of chemicals like formaldehyde. It is easy enough to run the UV-photocat only when odors are noticed, or when sensitive users are out of the room. This oxidation takes place primarily in a microscopically thin film directly on the catalyst surface, and the oxidizers are extinguished in split seconds after the UV shuts down. AC5000 and AC4825 have minimal documentation. Online user manuals show filter changes and offer warranty registration. Fortunately, set up is easy, there is no plastic to unwrap from filters before start up. Both Germ Guardians are EPA Energy Star rated. Dimensions of 7 by 10.2 inches at the base yield a fairly compact footprint for versatile placement. Weighing only 7 to 8 pounds, with a molded-in carry handle, AC5000 and AC4825 are easily portable for multi-room use. I think the ability to move to the source of an odor or moisture (mold) problem is Germ Guardians' strongest feature. The manufacturer states that the UV-C bulb used in GermGuardian air purifiers does not produce ozone. Some user reviews point out that AC4825/5000 can emit a light "metallic" smell. PCO installations will make an odor as they burn off accumulated particulate after a period of operation with UV off. The fine particle bypassing mentioned for the AC5000 and AC4825 will exacerbate this tendency. User opinions of the 3 in 1's noise levels vary considerably. Everyone agrees that LOW speed is quiet, while many find HIGH too loud for sleep or TV. But a considerable number say AC4825 or AC5000 made excessive noise, like squeals or knocks, right out of the box. Others mention noises that develop with age, or come and go seemingly at random. In my opinion, the Germ Guardian air cleaner's wide range of perceived noise emissions is due to weak quality control in the country of manufacture. Motor bushing and fan balance issues are prominent in the $100 price class, causing some units to be noisier than others off the same assembly line. Many users are distracted by the too-bright for sleep blue light. The light indicates "UV on," and goes off when UV is extinguished. Buyers frequently mention a "Made-in-China" smell, plastic fumes, which lasted from one day to a couple weeks. I believe the variability of this odor is due to poor quality control in the plastic injection molding process, where solvent concentrations vary across tank-fulls of mix. I'd run any new plastic appliance on the porch for 48 hours to outgass these toxic plasticizers. Guardian offers a three-year warranty with proof of purchase. As is usually the case for this price range, the AC4825 and 5000 are primarily warranted against defects at the time of purchase. There will always be a certain percentage of fatal defects with Chinese suppliers, margins are thin so they ship everything, with no rework line. GermGuardian 3-in-1 is an economy-priced air cleaner, with numerous faults and a certain percentage of defects. These issues are common to the big box retail space, where buyers are taking some risk of product failure and long term support abandonment. But a large number of user reviews report improved asthma/allergy symptoms when installing the GermGuardians. AC4825 is a pretty good product for $100, others in this class have similar issues and less performance on odors and molds. I see slightly better value in the AC4825 relative to the higher-priced AC5000 series. Germguardian AC4825 3-in-1 22 inch at Amazon.com. Germguardian FLT4825 (filter B) True HEPA for AC4800 at Amazon.com. 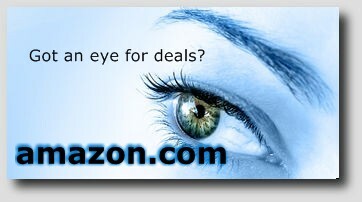 is also available at amazon. Likewise, Germguardian AC5000E 3-in-1 28 inch at Amazon.com. Germguardian FLT5000/FLT5111 True HEPA Filter C at Amazon.com.